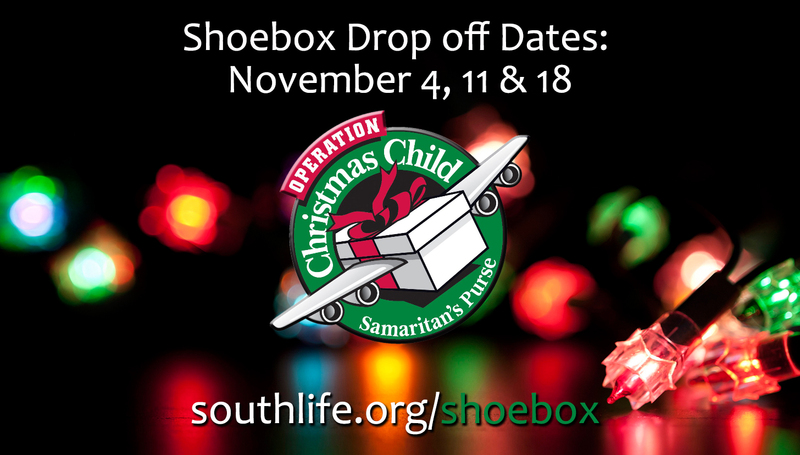 It’s time for our annual Shoebox Collection for Operation Christmas Child. Families can fill a shoebox with toys & supplies for needy children around the globe. Best of all, Samaritan’s Purse will include a booklet that will introduce these children to their greatest need of all, Jesus. Boxes can be dropped off at the tables at the East and South entrances. The collection dates are November 4, 11, and 18. For what to pack, how to pack, & to print out labels go to www.samaritanspurse.org.